French photographer born in 1976, Thomas Jorion lives in Paris and travels the world to achieve his singular and timeless landscapes. Self-taught photographer, he creates his photographs in natural light using an analogue large format camera. 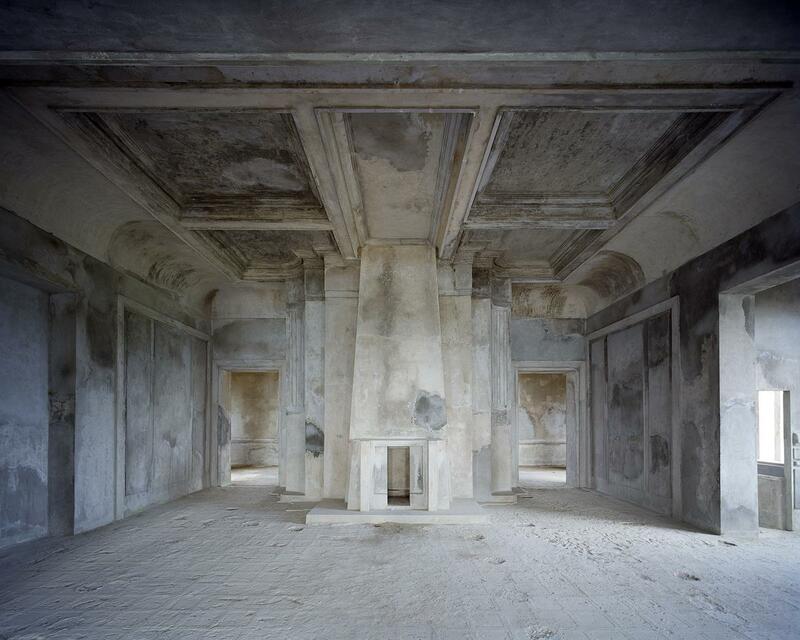 He captures places in ruins or abandoned, and allows us to rediscover and to imagine their past glory in a bygone era. In 2013, La Martinière editions published Silencio, a work that combines several of his series: Forgotten Palace, The other America, Konbini, The Quest of the soviets ... For many years, Thomas Jorion has been focusing his photographic exploration on the former colonies; this new series, Trace of an empire leads to a second book published by La Martinière and an exhibition at the gallery in September 2016.